Weapons of Anew, the dynamic new band that features Freddy Ordine, Ray West, Stefan “Reno” Cutrupi, Chris Manfre, and new guitarist Kris Norris have released their debut album, ‘The Collision of Love and Hate,’ today, Friday, September 15th via OK!Good Records. 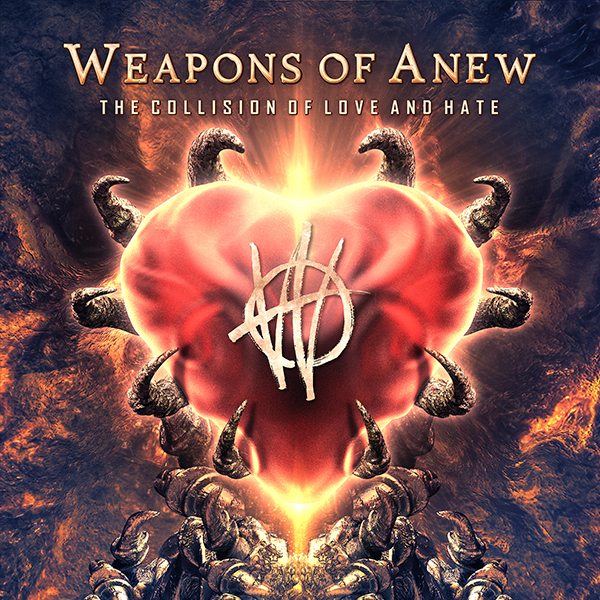 Weapons of Anew’s debut, ‘The Collision of Love and Hate’ was produced and engineered by James F. Murphy (Havok, Necromancing The Stone, Product of Hate), mixed by Mike Ferretti (Sevendust, Warren Haynes), and mastered by Ted Jensen. Weapon of Anew’s debut album is currently available for digital purchase on iTunes, Google Play, Amazon, and Bandcamp. It is available on all major streaming platforms including Spotify and Apple Music.